ACA is your comprehensive source for luxury air travel, private jet management, aircraft sales/acquisitions and luxury yacht charters along the French Riviera in Monaco, officially known as the Principality of Monaco. Chartering a private jet to (LFMN, NCE) Nice Côte d’Azur International Airport then quickly flying over to (LNMC, MCM) Monaco Heliport in a private helicopter is the most comfortable, secure and stylish way to get to travel to/from Monaco, and our company utilizes some of the highest standards in executive and leisure travel. Air Charter Advisors arranges simple, pay-as-you-go private jet charter service to/from Monaco with no hidden fees, memberships or long-term contracts. Gain access to a fleet thousands of Wyvern-certified private jets and turboprops around the world at a moments notice, connecting you to the right aircraft for every flight. Our private air charter company is Wyvern-certified, using safety standards and due diligence process that exceed FAA requirements and industry standards — there are thousands of charter brokers around the world, but less than 100 of them have earned this accreditation. We’ve gone the extra nautical mile to show that the safety, privacy and comfort of our clients is something we take very seriously, and we never cut corners or take risks to win a trip; if a trip doesn’t fall within our safety and operational standards, we’ll refuse the flight. Wyvern’s reporting tools allow us to review operator history, pilot experience and aircraft maintenance and incident reports for every flight we arrange. All of the private jets and turboprops we utilize are operated by FAR Part 135 or 121 (or foreign equivalent) air carriers, and we always use two pilots with a wealth of experience flying the aircraft you’re chartering. Our reputation for safety and our keen attention to detail has allowed us to arrange flights to Monaco for a growing list of distinguished clients, including royal family, heads of state, corporate executives, celebrities/VIPs, athletes, media members, and leisure travelers from around the world. Check out all of the private aviation services we offer here. Enjoy the peace of mind you get from working with a private jet charter broker you can trust, and we’ll become your complete aviation solution for luxury air travel, aircraft acquisition and private jet management in Monaco and the Cote d’Azur. Our team is available to you by phone or e-mail 24 hour a day, 7 days a week. Request a quote now or give us a call us at 1-888-987-5387 to book your private jet to Monaco. We’ve highlighted some of the most frequently requested routes for private air charter service to/from the city-state of Monaco. Search our network of private jet charter destinations to find yours. Air Charter Advisors has access to the following aircraft, many of them Wyvern-certified for your private flight. All of the aircraft we utilize for charter service are operated by FAR Part 135 or 121 (or foreign equivalent) air carriers, using only veteran pilots in the private jet you’re renting. Our Private Jet Charter Monaco team will provide you with a variety of aircraft options based on the goals and budget of your trip, allowing you to charter a cost-effective aircraft, or the most luxurious, stylish corporate jet on the market. Check out our Aircraft Gallery for more details on all of the aircraft available for your trip. Rent a private jet and fly to Monaco, officially known as the Principality of Monaco, a city-state located along the French Riviera known for its picturesque waterfront views and luxurious atmosphere. Monaco, home to nearly 40,000 people, is the most densely populated country in the world, mainly due to it’s diminutive size of just 2 square kilometers; only the Vatican City is smaller, covering six times less area. Citizens of the city-state are referred to as Monégasque. Consisting of just one municipality, there is no distinction between the State and City of Monaco, although responsibilities differ between government (state) and municipality (city). 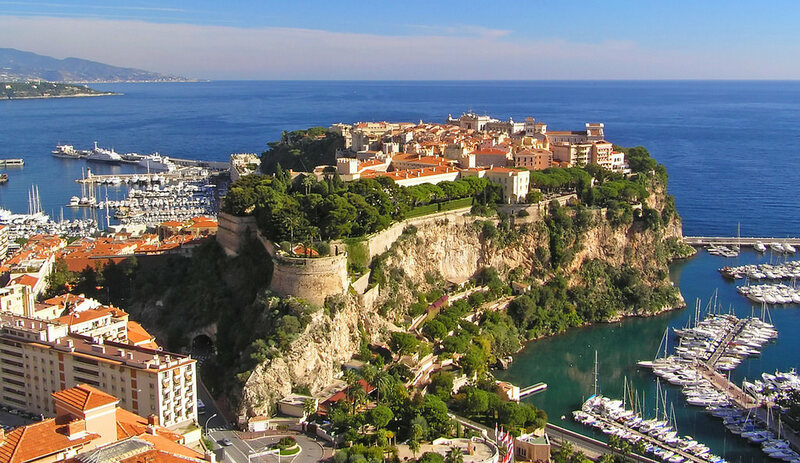 The Principality is divided into four sections: Monaco-Ville, the Condamine, Fontvieille and Monte-Carlo — Monte Carlo is often mistaken as the capital, however, there isn’t one. Instead, Monte Carlo serves as the city-state’s government district while attracting tourists like a magnet — there are no natural resources to exploit in Monaco aside from its sublime location and climate, making it a popular holiday resort for affluent tourists and a tax haven for international businesses. Monaco is not a member of either the European Union or the European Economic Area. That said, it maintains an open border and customs union with France, and is treated as part of the Schengen Area, and French and Monégasque authorities carry out security checks at the heliport and seaport. If you’re looking for a souvenir passport stamp, head over to the national tourist office. Immaculate five-star resorts, luxurious mega-yachts and sailboats, high-end fashion, supercars, incredible cuisine and world-class events, nestled between the French and Italian Rivieras and framed by beautiful surroundings and a Mediterranean climate. Monaco is a premier holiday destination for private jet travelers and it’s home to some of the best events of their kind around the world. Surrounding areas of Nice, Cannes, Saint-Tropez and the Italian Riviera only add to its luxurious allure. Port Hercules and Port de Fontvieille is where you’ll find some of the world’s largest, most expensive mega-yachts stopping for a reprieve after a voyage from Cyprus, Athens, the Balearic Isles and other luxurious Mediterranean locales. The city-state also hosts one of the largest and most influential yachting events of the year, the Monaco Yacht Show, held annually in September, featuring more than 125 super-yachts and 40 luxury vessels on display. Do you prefer four wheels over a hull? The Monaco International Auto Show is a unique, open-air event featuring the latest innovations and technologies in luxury automobiles. Top Marques is a luxury supercar event showcasing cutting-edge automotive design, technologies, performance, and sophisticated styling, all while maintaining focus on the environment; Top Marques also hosts luxury events for watches and jewelry. Still not enough speed for you? The Monte Carlo Grand Prix is one of the most demanding races on the Formula 1 schedule, and considered one of the three races in the Triple Crown of Motorsport, along with the 24 Hours of Le Mans and the Indianapolis 500. 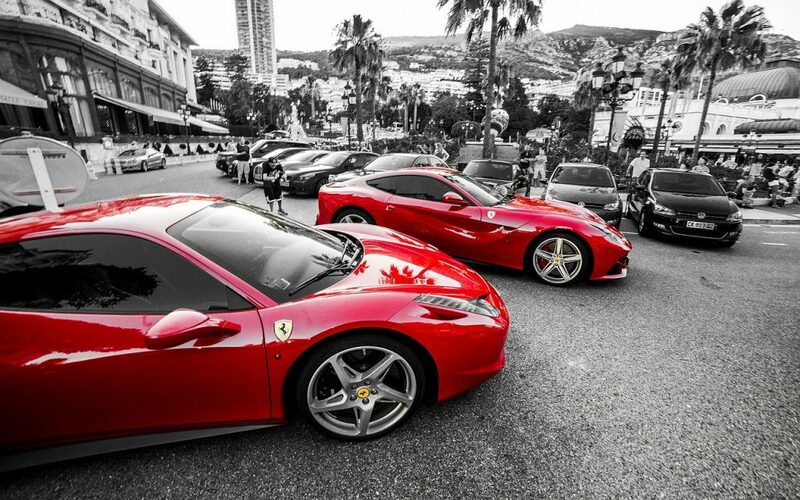 The race transforms the city streets of Monte Carlo and La Condamine into a high-speed circuit, with celebrations held all week leading up to the green & checkered flags; the track runs alongside the famous harbor, where many spectators enjoy views of the race from their mega-yachts. In case you were wondering: official race organizers Automobile Club de Monaco officially recognized the Ermanno Palace Penthouse as the ‘Best view of the Monaco Grand Prix’. This famous port is well-known for its size and the surrounding area. There are many restaurants and shops by the harbor so you can enjoy a meal with a view, or just stroll around day or night. 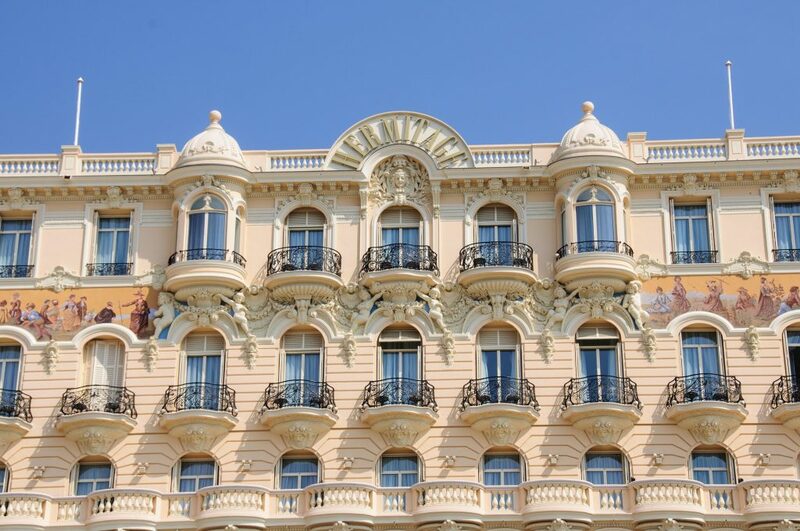 Nestled along the Mediterranean Sea and tucked inside the Maritime Alps between the Cote d’Azur and Italian Riviera, Monaco is famous for its glamour and exclusivity, complete with matching price tags. It’s a favorite holiday and weekend getaway for some of Europe’s wealthiest travelers, and one of the most luxurious destinations in the world. It’s also a magnet for the biggest, most luxurious yachts and vessels in the Mediterranean. Simply put, this is not the best place to be if you’re traveling on a budget; a two-star hotel room without breakfast or a bathroom will cost around €60, and that’s per person. This typically leaves budget travelers on the outside looking in from towns such as Ventimiglia, located just outside of Monaco. Plus, Nice is also only 30 minutes away and a cheap train ticket away. Luxury travelers arriving via private jet, on the other hand, can enjoy chic atmospheres, terrace-view dining, designer shops, spa and VIP suites, gourmet restaurants, nightclubs, and incredible views of the marina, super-yachts, F1 racing and the Mediterranean Sea, all offered by an impressive roster of 4- and 5-star hotels both in and surrounding the city-state. Earnings from Monte Carlo’s famous casino and other gambling establishments account for less than 5 percent of Monaco’s income, overtaken by its booming tourism industry; luxury hotels, conferences, multi-million dollar yachts, auto and boating shows, and the annual Grand Prix are the driving factors in the city-state’s economy today. Please keep in mind that rooms are booked months in advance leading up to the Formula One Monaco Grand Prix, when tens of thousands of fans descend to one of the most glamorous races in the world. Looking for the best view of the race? Then you’re looking for the Ermanno Palace Penthouse, officially recognized by organizers of the Grand Prix as the room with the best view during the race. Monaco and its harbors Port de Fontvieille and Port Hercules are where private jet travelers will find some of the largest, most luxurious, and most expensive mega-yachts and watercraft anywhere in the world. Private yachts set sail across the Mediterranean to visit from a variety of incredible destinations — yachts cruise from nearby islands of Malta, Cyprus, Sicily, Corsica, Sardinia and the Balearic Islands of Ibiza & Mallorca, as well as from cities along the Cote d’Azur, including Cannes, Nice and St. Tropez, all the way from the Italian Riviera and Athens and beyond, filling up premium dock space in Monaco. Adding a private luxury yacht charter to your holiday puts you in the Captain’s seat of your voyage across the Mediterranean, and our team can seamlessly add maritime arrangements to your itinerary. We have experience working directly with yacht providers from around the world to connect clients to the perfect yacht for their getaway, complete with crew and other amenities. We’ve accommodated budgets of up to seven figures per week in destinations ranging from Miami to Montauk, all the way to Monte Carlo. 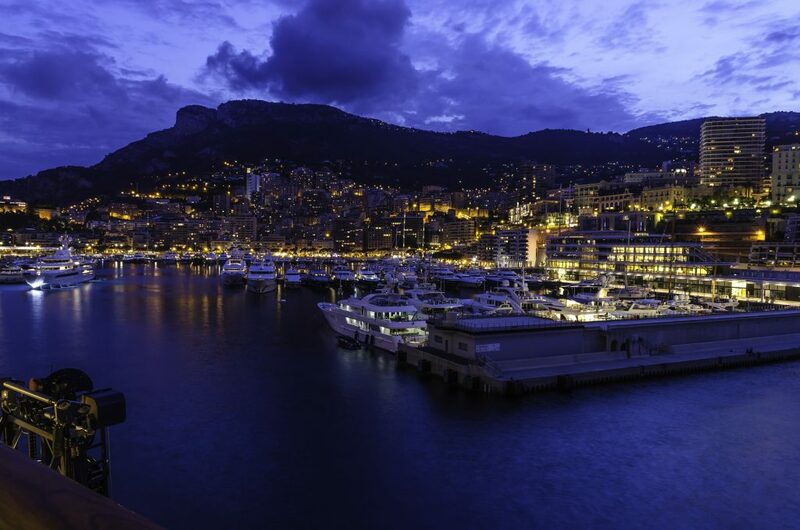 Speak with one of our brokers and let them know the goals of your private flight to Monaco. Hiring a private flight to Monaco involves arriving in either Nice or Cannes, then continuing via private helicopter charter into the heart of the city-state. Clients looking for the best way to travel to/from Monre Carlo will want to arrive via private jet in Nice, then charter a private helicopter to Monaco Heliport. 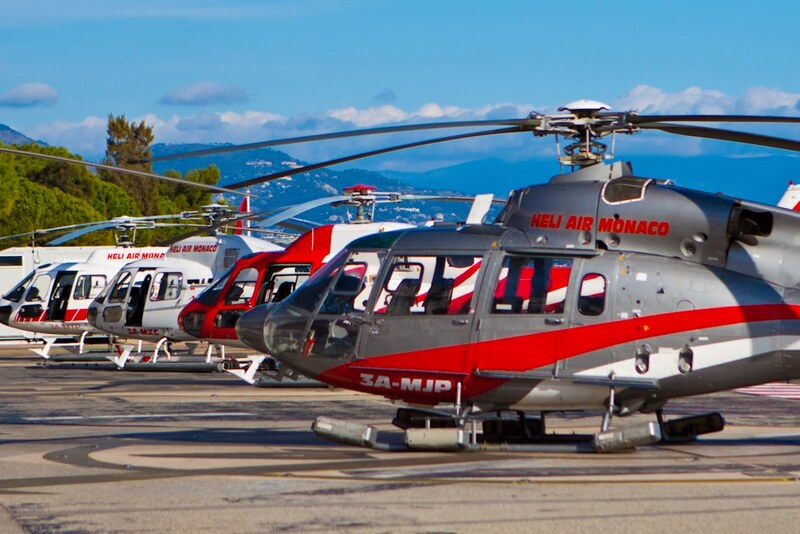 Situated in the district of Fontvieille, the Monaco Heliport (IATA: MCM, ICAO: LNMC), also known as Monte Carlo Heliport, is the only aviation facility within the Principality. The heliport is located directly along the Mediterranean coastline near the Stade Louis II, and the Chapiteau, with arrivals/departures routed over water to minimize noise. Since opening in 1976 with the support of Prince Rainier III, the (MCM) Monte Carlo Heliport has expanded to eight pads, with pads A and B jutted out over the Mediterranean. Facilities include is a single terminal, four hangars, an underground parking lot, and a drop off area at the front of the terminal. The only scheduled service is between here and (NCE) Nice Côte d’Azur. Request a Quote or give us a call at 1-888-987-5387 to speak with one of our Monaco Private Jet Charter brokers for your next luxury vacation, business trip, or special event. Whether you’re flying private to Monte Carlo for business or leisure, we’ll find you the perfect aircraft and flight itinerary that fits your needs. Our team believes in providing private jet charter clients with a one-on-one consultative service experience that exceeds all expectations.